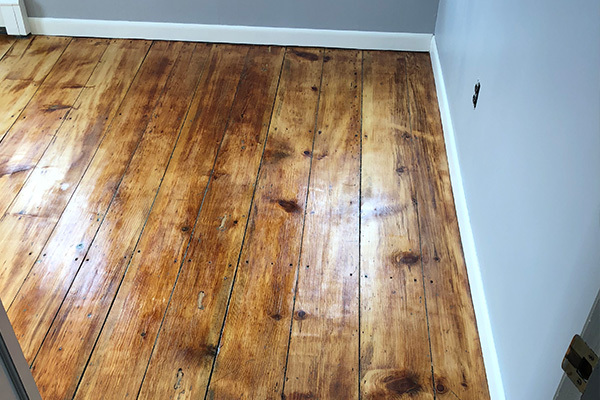 At JG Painting we pride ourselves in being able to bring tired old floors back to life. 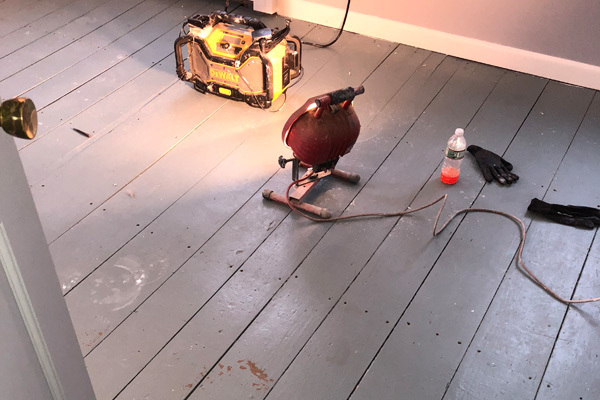 Whether you choose to have your floors painted to match a historical period or have them refinished in natural tones, we have the equipment and expertise to do either. We start by using a 25 grit sand papers on the floors, gradually going to 80 grit and ending with a 120 grit that gives floors that smooth texture. We finish by wiping down with tack cloth stain then sanding sealer then finalizing with a layer of poly sealer that will last for years of hard wear.